The Principals : Audio Design Labs Inc.
Mr. Weisberg was formerly Vice President of Operations and Product Development at M&K Sound Corp. Additional professional experience includes 10-years with Harman Industries, where he was Director of Product Development for JBL and Infinity Products. Mr. Weisberg is responsible for all product development and company operations related issues. Mr. Weisberg has an impressive history, directing the development and production of hundreds of professional and consumer products. On the professional side, Mr. Weisberg was involved with JBL Professional’s Theatre, Studio, and PA products, as well as the M&K Professional product line, which included several THX-pm3 Approved products. 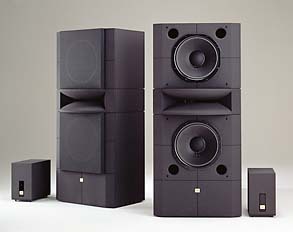 On the consumer side, Mr. Weisberg was involved with the JBL Synthesis (THX-Certified), JBL K-2, Infinity IRS, Infinity Prelude, and M&K 750THX (THX-Select-Certified) product lines, just to name a few. Mr. Walborn was formerly Vice President of Engineering at M&K Sound Corp. He held this position for 10 years and developed numerous award-winning products. Prior to his experience at M&K, Mr. Walborn also developed products and patented technologies (US04282787 & US04166197) for Fender and Moog. Mr. Walborn is responsible for all design and technology related issues. Mr. Walborn has developed hundreds of products and technologies, here is just a sampling of the many highlights of his career. While at MOOG, Mr. Walborn designed the MemoryMoog and also developed the first synthesizer to be sold at Radio Shack. To date, Mr. Walborn has designed more THX Certified consumer and professional speakers / subwoofers than any other engineer. Mr. Walborn’s latest design efforts for Blue Sky, Big Blue, was recently THX pm3 Approved and has received numerous rave reviews and accolades. Mr. Sijen was formerly Director of Technology Marketing at M&K Sound Corp. Prior to joining M&K, Mr. Sijen worked for Lucasfilm’s THX Division, where he was Technical Services Supervisor. During his employment at Lucasfilm, Mr. Sijen was involved with all aspects of theatre and studio design, testing and certification. Mr. Sijen is responsible for all marketing and business development related issues. While at the THX Division of Lucasfilm Ltd., Mr. Sijen Was involved in the design and testing of more than 1000 movie theatres and professional studios in the US, Europe and Asia. Mr. Sijen was also part of the team that developed THX SURROUND-EX and the THX pm3 professional monitoring standard. While at M&K, Mr. Sijen was key in launching M&K Professional’s broad line of studio monitors and was also pivotal in setting up domestic and world-wide distribution.